Clean and beautiful face is what a woman would always want. She would freak out if she wakes up in the morning and after looking at her face in mirror she finds that her face isn’t pretty. It is a good thumb rule to wash your face every morning and at night before going to sleep, if you want a good and beautiful face. Washing the face with soap is not recommended because the hard and drying properties of soap would make the facial skin drier. So, instead of soap you should use a facial cleanser to wash your face. 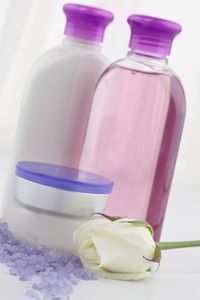 A facial cleanser is some what like liquid soap but is soft in nature and should be used to have clean and lovely face. It also removes all the dirt and germs which are hidden in the pores and are not easily removed by soap. Unlike soap, facial cleanser balances out the pH of the skin and does not make it drier. According to the skin type, you should select the facial cleanser for yourself. Like if you have dry skin then select some mild cleanser which doesn’t contain alcohol as an ingredient as it will make the skin drier. If you have oily skin then you should select a strong cleanser so that you can deal with excess oil production. For a healthy skin, mild facial cleanser is the best choice as then only the soft and smooth texture of the skin would be maintained. Check out the ingredients of the cleanser and for what skin type it is made for and then only buy one for yourself. Applying facial cleanser is very easy. Wash your face with water as the cleanser spreads out easily on wet face. Take cleanser in your hands and rub it so that it lathers up properly. Then starting from forehead, start applying it and go till neck. 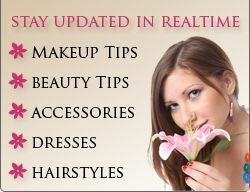 Remember the weak points like T-zone, chin, forehead hairline and area near Nose Bridge where dirt gets collected easily. After you have applied facial cleanser and have done the rubbing part too, then you should wash it off with cold or lukewarm water. You can also take damp cloth to wipe it off from the face and then wash the face. Washing the face at morning and at night while going to bed is recommended. Also wash your face with a cleanser every time you come from outside otherwise the dirt would make the face look unattractive. Facial Cleansers could be bought from the stores or could be prepared at home itself. Home made facial cleansers are free from chemicals and so they would not have any side effects like chemical based facial cleansers have. Cucumber is a good fruit which makes a good cleanser. Take the cucumber juice and mix it with milk. Use this liquid mixture as a facial cleanser. Facial cleanser made out from lemon is good if you have oily skin or combination skin type. Mix the lemon juice and water and apply this liquid with cotton balls on the face. The citric property of lemon will handle the extra production of oils and would also help you out if you have some acne problem. Honey and rose water are also good ingredients which can be used to make a good facial cleanser. Always wash your face with face cleanser and not with soap. The skin would become soft, smooth, dirt & germ free and would also tighten up the pores. Buy one according to your skin type and apply it at least twice a day to have clean and beautiful face.